It was an evening flight. (The only time slot for flyscoot.) Scooting off to Bangkok, I am such a fan of Flyscoot (With them for my Gold Coast trip, Bangkok trip and coming to be Taiwan trip. Lol!) 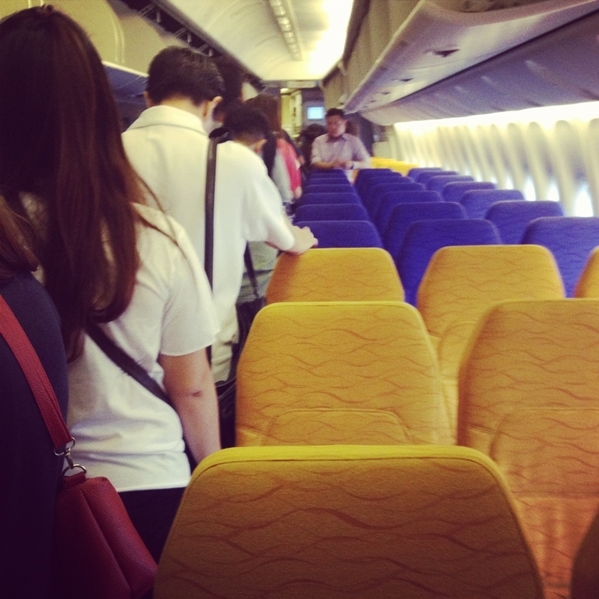 What I like about flyscoot is the seats. They are so spacious and needless to say comfortable. I enjoyed the flight a lot! 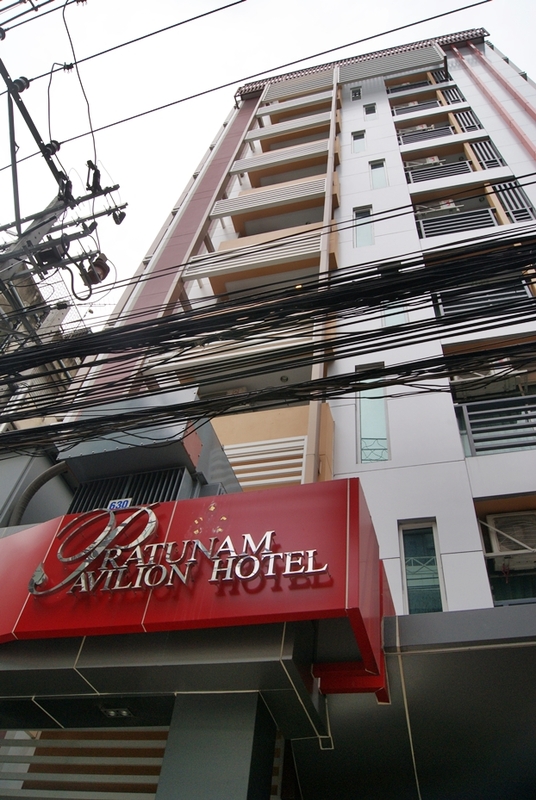 Initially we stayed in Metro Resort Pratunam. But it was a horrible one. So we decided to change our hotel after staying for a night. 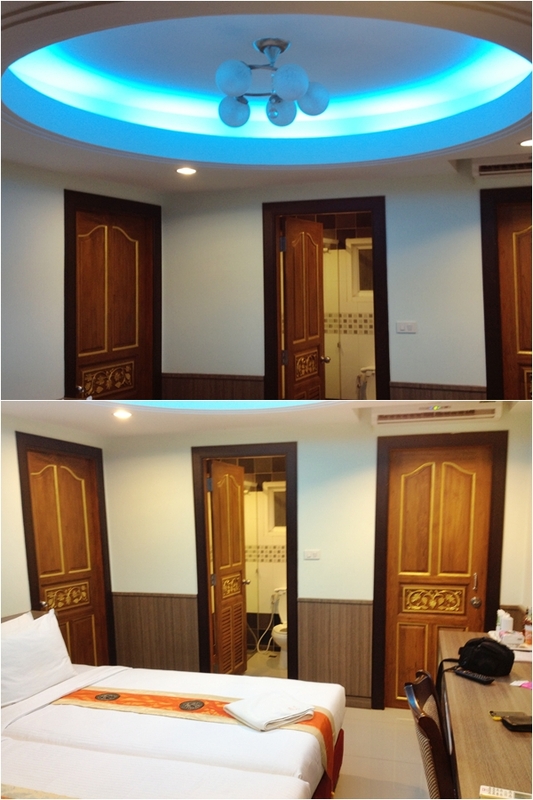 No doubt, the room is rather big and it is a BRAND NEW hotel. But seriously, it is lack of renovation. It was actually a shopping centre transformed into a hotel. You can see escalator of the shopping mall. Terrible. 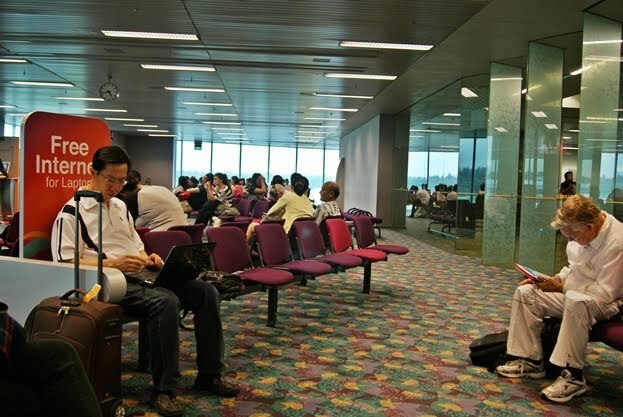 The advantage of the hotel will be the location itself. Yup. The location is good. 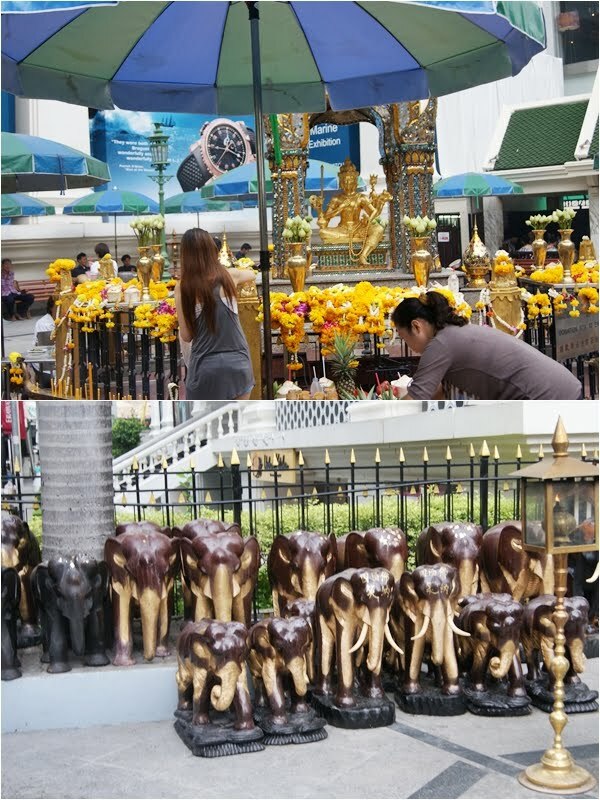 It is located at 599 Soi Petchaburi13, Petchburi Road, Ratchathevee, and it is just 10 minutes walk from Platinum. Other than location, I seriously can't find any good point about this hotel. I wouldn't say the rooms are clean, in fact they are not. Dead insects are lying all over the floor. Sigh. Worst still, mosquitoes are everywhere. Our rooms, 2 of out 3 were "filled" with mosquitoes. My room was the lucky one though. My sis and cousins are busying hitting the mosquitoes once they entered. We even resort to buying moquito coil to save our lives from getting bitten. I am not exaggerating. We were so upset with the rooms. Forget about the hotel that caused so much unpleasant to us. 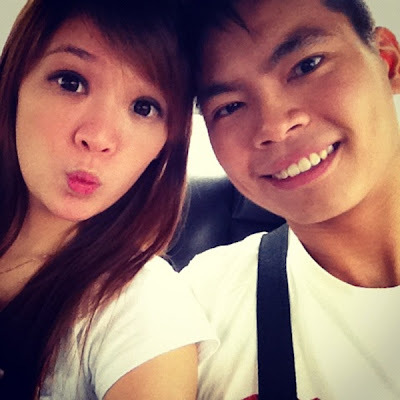 When it come to shopping, we tend to forget everything. Just shop. Hehe! That morning, we headed to Four-Faced Buddha. 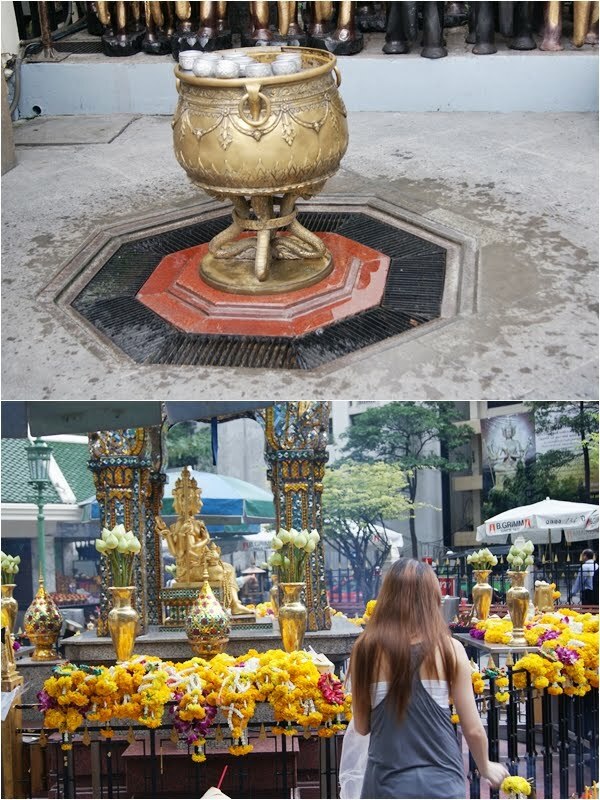 It is located at the Grand Hyatt Erawan Hotel, at the Ratchaprasong intersection of Ratchadamri Road in Pathum Wan district, Bangkok, Thailand. 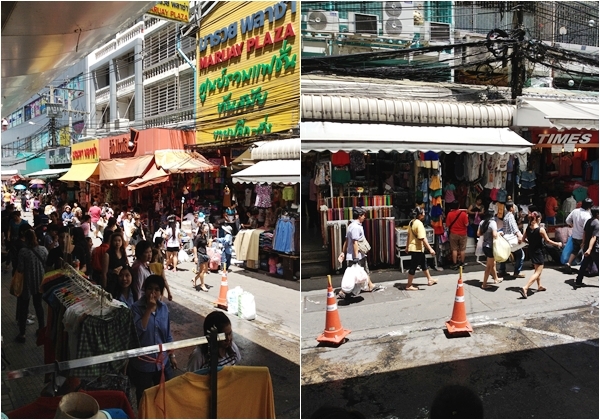 After that, we shopped at Pratunam Wholesales Market and Platinum Fashion Mall, bascially the whole of Pratunam area. (If I am not wrong, the shopping mall open at 10am.) It was really a crazy one. I was so tempted to get all back. Haha! Specially when they always tempt you with discounts like: 1 For $10, 2 For $12. WTS! How can you resist? Wally and I are really partners. 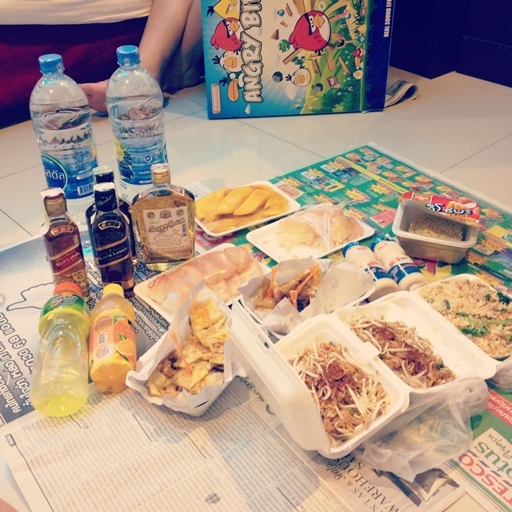 We went into a shop, and if there is something that we want to get, we will ask each other "Anything you want to buy?" then state the amount out. Like "2 for $12". Then you will be "WTS! $6 only! okok. I find something to buy" LOL! That's how we shopped. 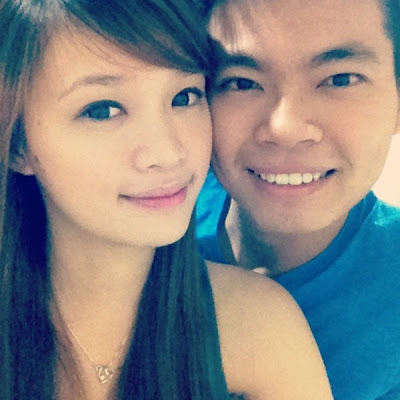 And if my sister and Lina wanted to get together, WAH, even better cause they will reduce the price again! That's how we went crazy! 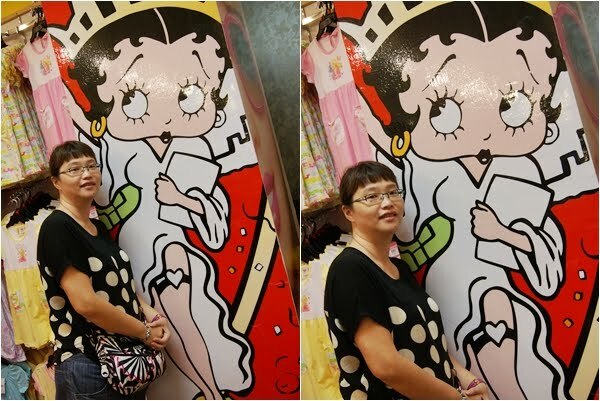 My sister iterally went ga-ga when she saw this - betty boop. That's her era. Lol. 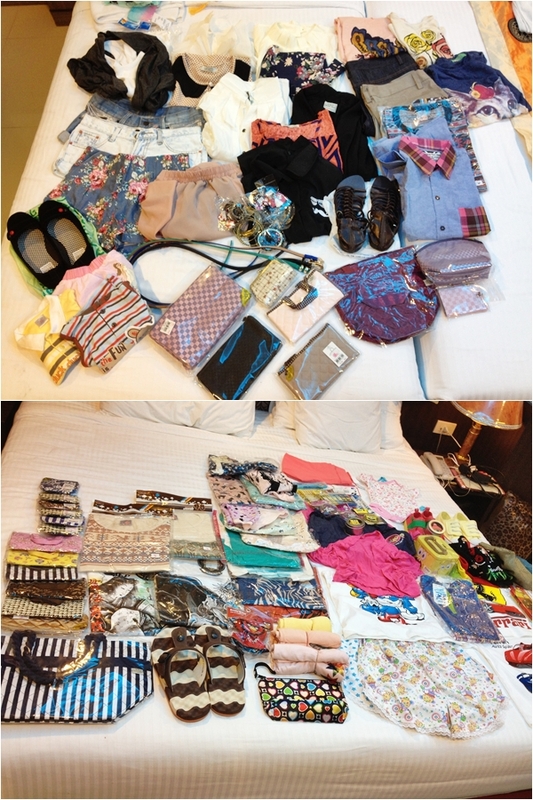 These are what we have bought for just the first day of shopping. Lina even got herself an extra trolley because she bought too much that she was unable to carry them. Just threw everything she bought in the plastic bag trolley and that's it. Good idea uh! 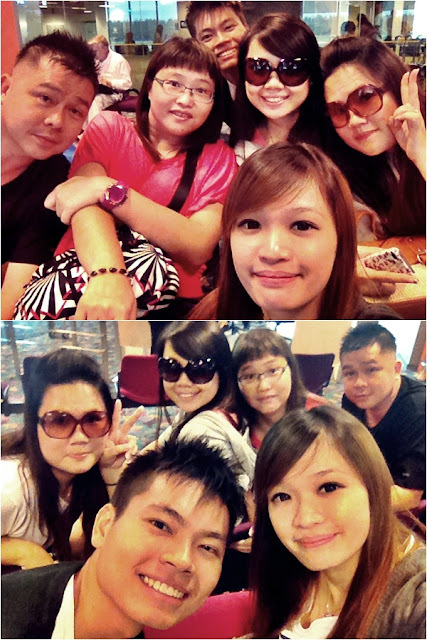 DAY 3: THE SHOPPING PARADISE AGAIN! We headed to donate coffins. We always will donate coffins if any of our family members are heading there. 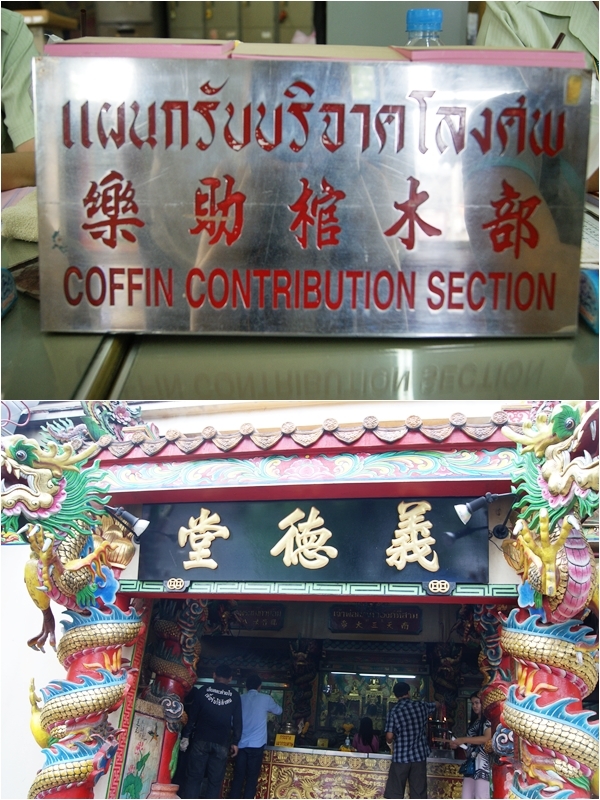 So this is the first time that I actually went there personally to donate coffins. Anyway, the place that we went is Poh Tech Tung Foundation - it is a non-profit organisation. What is donating coffin about? Alright. 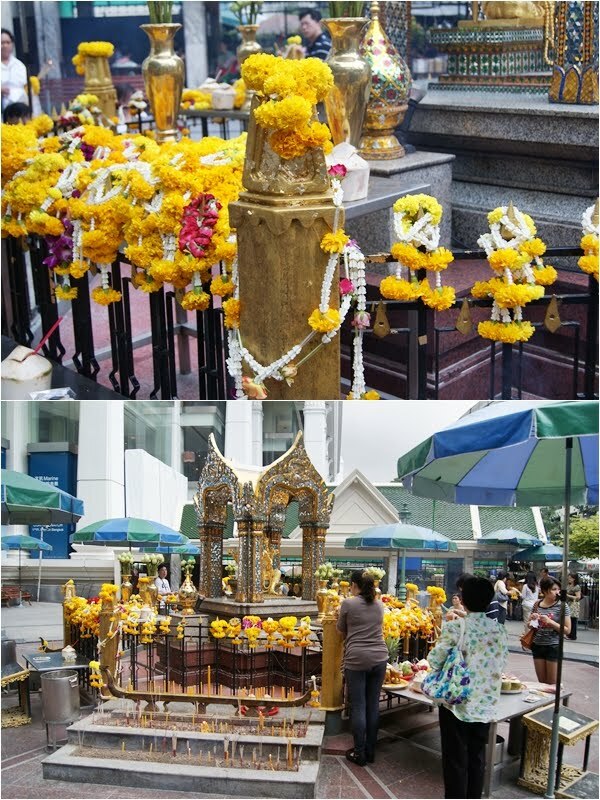 Poh Tech Tung Foundation was founded in 1910, this charity organization has been established by Dr. Utain Techapaiboon for arranging funerals for unidentified corpses such as accident/illness victims or people who cannot afford. 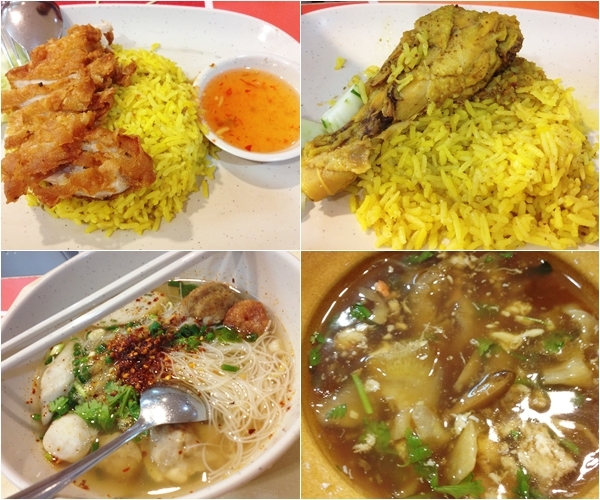 Poh Teck Tung is located at 326 Chao Kam Rop Road, Pomprabsatrupai Bangkok 10100 Thailand. Most of the locals will know where is this place. After that, we headed to MBK. If you are getting phone accessories/local products, perhaps you can consider to come here. 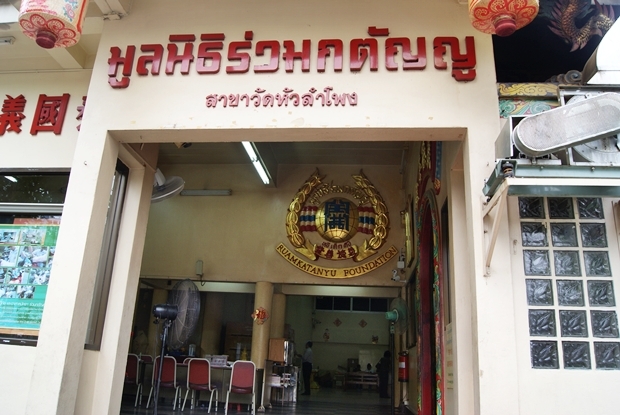 There is nothing much to shop here compared to Pratunam. Haha. 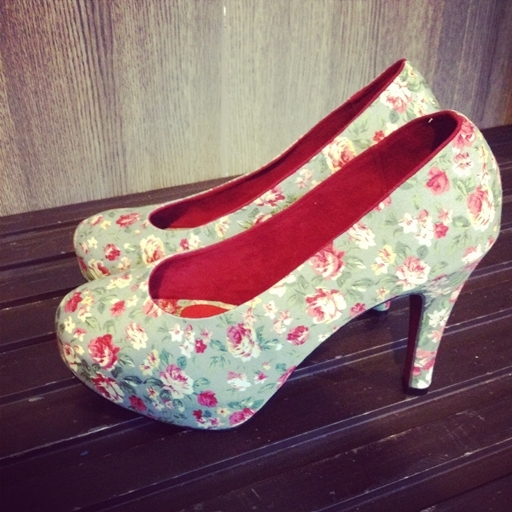 But I got this lovely heels from MBK. It is about 700baht (SGD$30+). I really thought for VERY long before getting this. I feel that it is quite expensive. Cause I tend to think that I am in Bangkok, shouldn't it be cheaper? But then when I think otherwise, if this is bought in Singapore, I will find it very cheap! Well, haha! Mind-fucked. 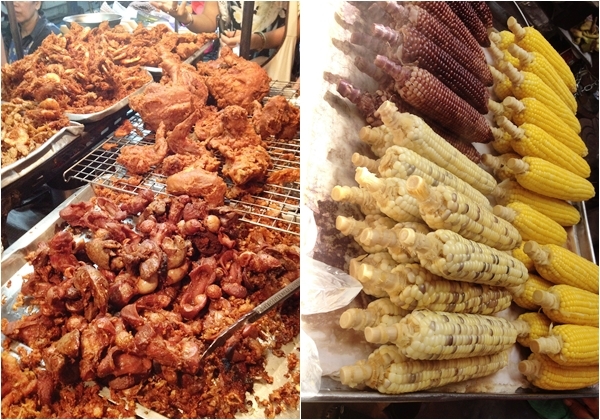 Beside shopping, there is something that we all enjoyed too. It is EATING! Woohoo! 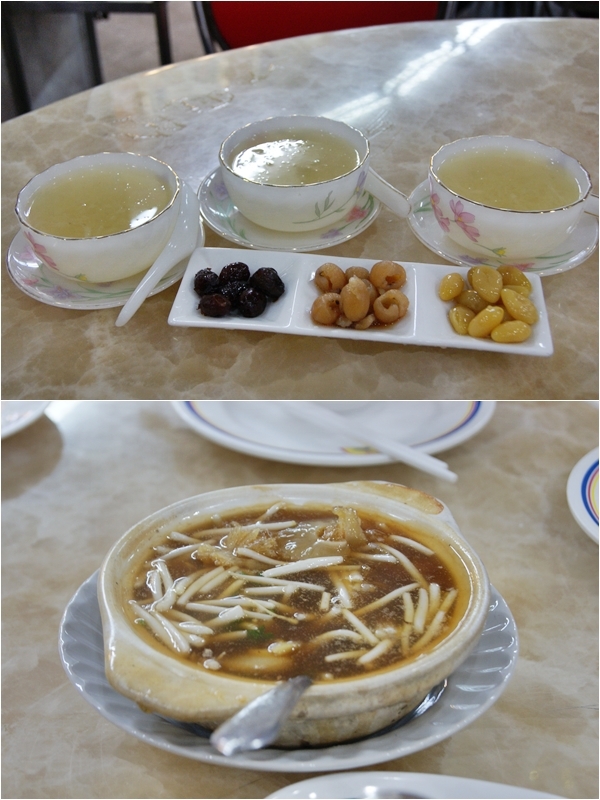 And this is the first time my sister is eating the local foods. Lol. She did not dare to eat their local food, but with us, she has no choice. Lol. Luckily it left a good impression for her. 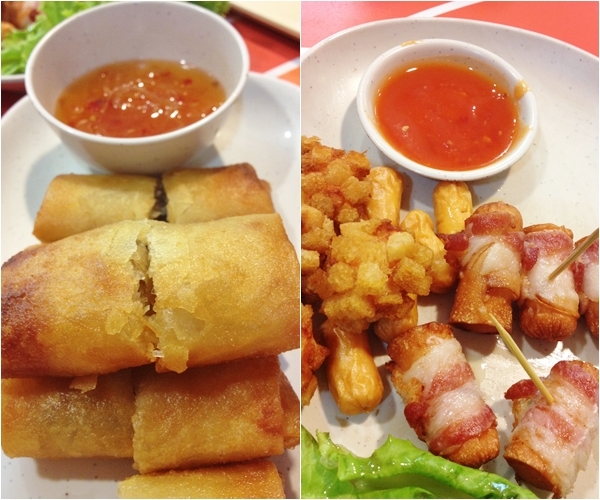 Check out the very yummy food that we had. Oh. 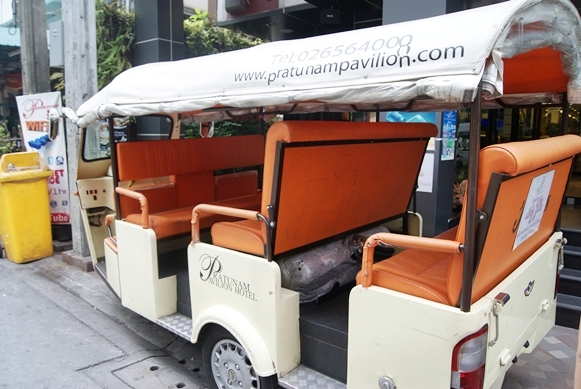 Forgot to mention, after we checked out at Metro Resort Pratunam and changed to Pratunam Pavilion. Believe me, Pratunam Pavilion is 100x better than Metro Resort Pratunam. Though the location is kinda of messy? But we are alright with that cause we are in a group. If you are one person or two ladies, perhaps you might want to think twice? 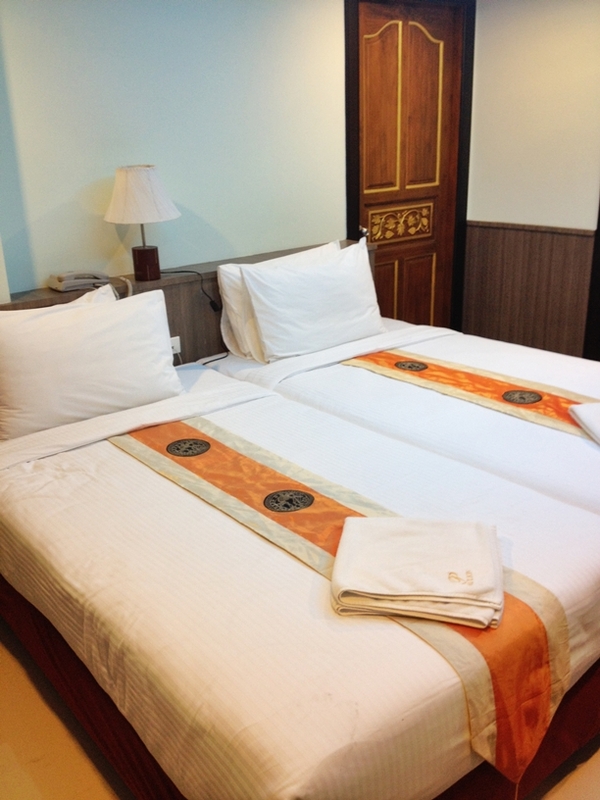 The room is not that big as Metro Resort Pratunam but we are completely fine with that. Haha! Their service is good and it comes with WIFI as well! Wee! Best of all, there is a tuktuk that can drive you out if you want. Great! Last night in Bangkok! 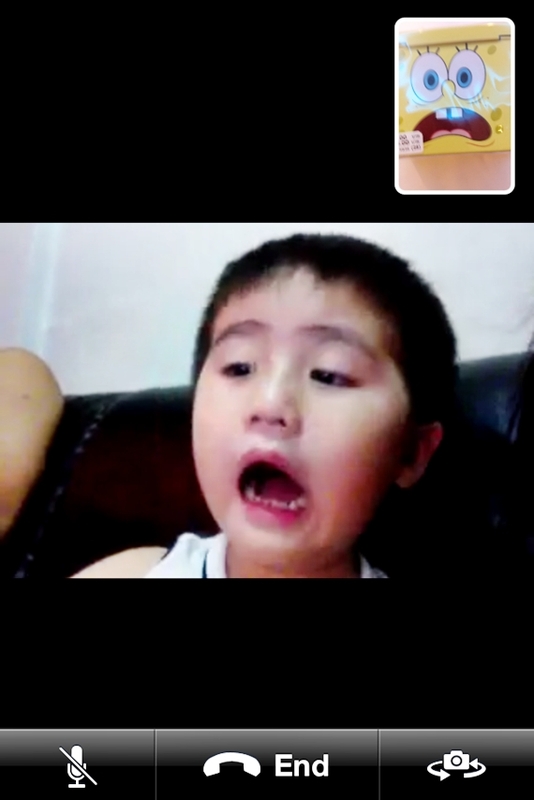 Facetime with Aden and showed him the spongebob that we got for him. His favourite. Actually he prefers Patrick, the starfish. Lol. And he gave us this face. Lol. Time to squeeze Lina's luggage. 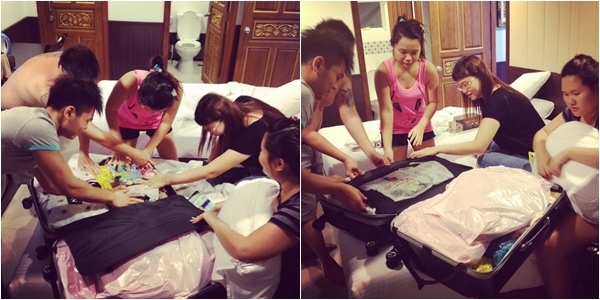 Seriously we really had a hard time squeezing Lina's luggage. HAHA! Almost burst! She is so afraid that it might overweight (But it didn't!) She packed until pekcek cause she had no idea how to squeeze all these. She spent A LOT there. Can you imagine the amount for just 3 full days of shopping? Haha! DAY 4: THE LAST DAY TO SHOP! This is our last day to shop, we went all out to shop. We shopped at one of the morning market in Pratunam. Gosh! It is even cheaper! Can you imagine I bought a jeans shorts for just 50baht ($2+) I almost fainted. Lol. Hello! 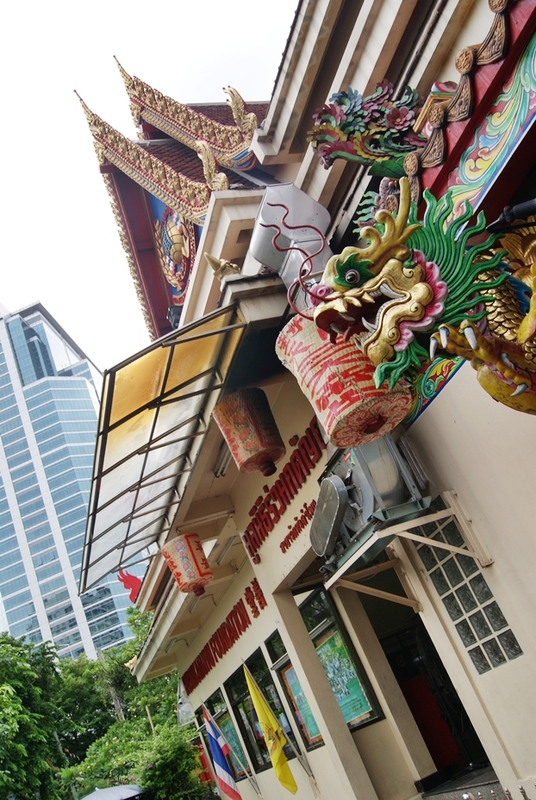 I am planning to stay in pratunam pavilion when I go to bkk with my mum, just the two of us. Is it not advisable to? (As seen from your post haha) Thanks!